“Which Way is The Front Line From Here” Screening / Monday 02nd Dec.
On the 2nd of December, Miniclick are very pleased to be hosting a showing of Sebastian Junger’s “Which Way is the Front Line from Here? The Life and Time of Tim Hetherington” at the Dukes at Komedia, Brighton. Monday 02nd December, 6:30pm. Dukes at Komedia, Brighton. This is a great opportunity to see this incredibly moving film. All profits of ticket sales will be donated to the Tim Hetherington Foundation, a charity we’ve made donations to in the past, so we’re equally as delighted the Dukes are up for donating the profits.. You can buy tickets from the Dukes at Komedia website here. Magali Charrier is an award winning director, animator and video editor whose work has been toured and broadcast throughout the world. Her background in fine arts, animation and dance gives her a highly sought-after and distinctive style often incorporating film and animation. She is the recipient of numerous awards (VideoDansa Prize, Barcelona; NAHEMI Award at Encounters Film Festival, Bristol, Best Dance Film at CineDans Festival, Amsterdam and more) and bursaries from Channel4, BBC4 and the Arts Council. Before his retirement in January 2002 Peter Penfold was a member of the British Diplomatic Service for 38 years, most of which time was spent serving in, or in contact with, Africa and the Caribbean (especially Commonwealth countries). covering all aspects of diplomatic life. He was responsible for advising and implementing policy on relations with Africa and the Caribbean, including conflict prevention/resolution the administration of Britain’s overseas territories, and combating the drugs problem. He served in various “hotspots” around the world, witnessing several coups, insurrections, civil wars, kidnappings and hurricanes, and oversaw several successful evacuations of the British and international communities. He was awarded the CMG (1995) and OBE (1986). 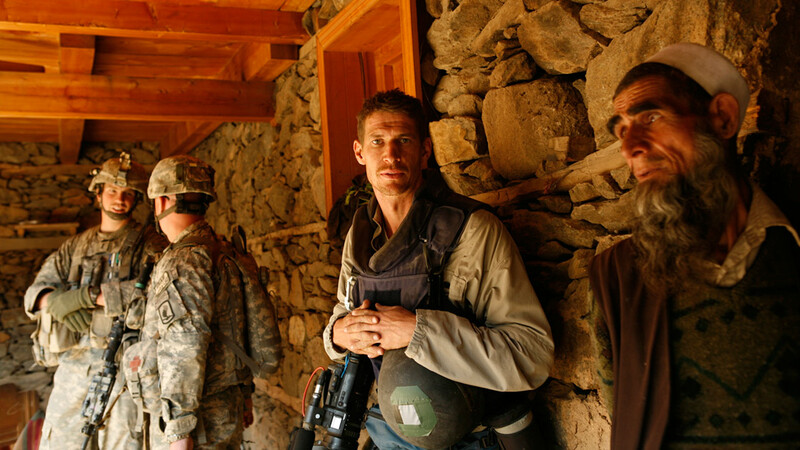 On 20 April 2011, photographer and filmmaker Tim Hetherington was killed by mortar fire in the city of Misrata, Libya. In his work Hetherington focused on the experience of war from the perspective of the individual. Through his photographs, writing and films, he offered new ways to think about human suffering as a result of war. He captured the perspective of the soldiers and the civilians, caught up in the many conflicts he reported. The work he did throughout his ten-year career has established him as one of the most important photojournalists of his generation. Colleague and co-director of the Academy Award-nominated documentary Restrepo, Sebastian Junger thoughtfully portrays Hetherington’s life and work. At a time when greater numbers of journalists are losing their lives covering conflict, the film also addresses the high risks taken by war journalists.